The MiG-35 will replace the entire fleet of Russian light fighter jets. International Aviation and Space Salon MAKS 2017. 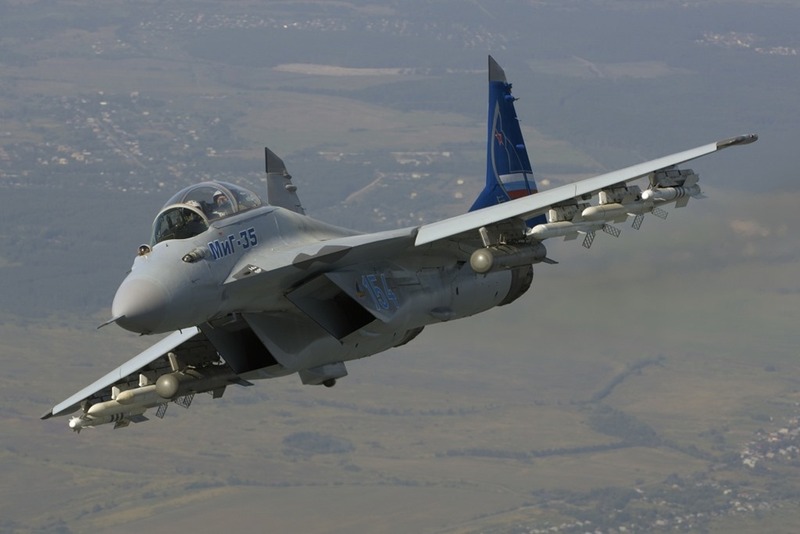 The Fourth Gen. aircraft was unveiled in January 2017 (More details here), it is a multipurpose fighter and an advanced derivative of the MiG-29М/М2 fighter jet, featuring improved combat capabilities and flight performance characteristics. It is capable of reaching speeds of up to 2,700 kilometers per hour and having a combat radius of 1,000 kilometers. "We are completing research and development activities with the Russian Aircraft Corporation MiG and we hope that from 2018, we will begin to purchase this fighter, as we already have plans on the 2018-2025 state armament program," Borisov said. Russia is in the process of implementing a large-scale rearmament program. As announced in 2010, the nation has the goal of modernizing 70 percent of military hardware by 2020. The cost of the modernization program is estimated at about $300 billion.